The story behind "Sunset on Changstse peaks, Tibet"
Sunsets are often nice to see, but many times the play of lights is much more interesting than the actual setting sun. 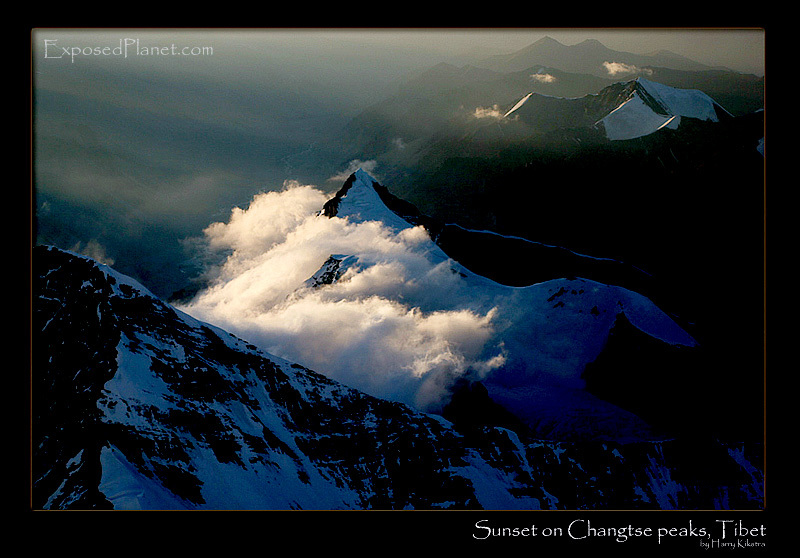 The sun was setting behind Cho Oyu, when I was on Everest. The last rays illuminated just a small patch of clouds trying to pass the pass between the summits of the Changtse massif, while the lower Rongbuk Valleys were already dark and cold.